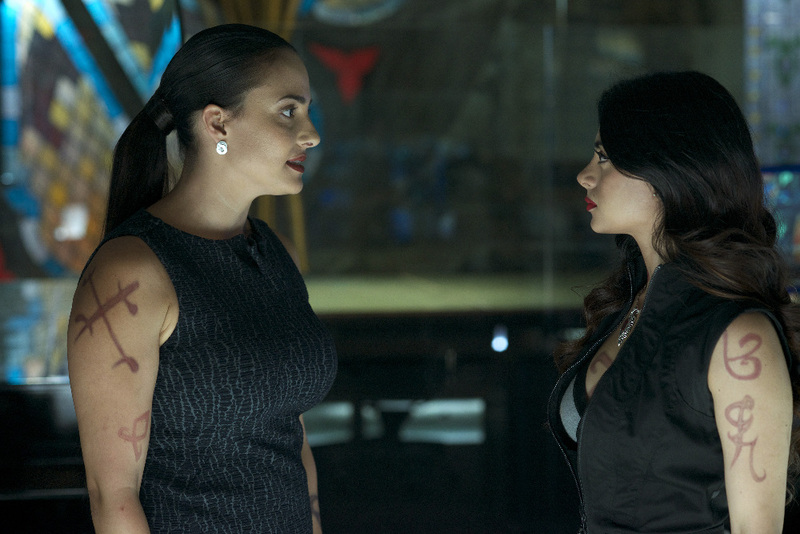 The overnight ratings are in for the sixth episode of Shadowhunters. “Of Men and Angels” nabbed a 0.4 rating in the 18-49 key demographic and 0.98 million viewers in the U.S., which dropped a tenth from last week’s 0.5 rating. Shadowhunters matched Teen Wolf with a 0.4 rating and narrowly edged it out in viewership (0.95 million). No comparison to The Shannara Chronicles this week? That’s okay, I still think TSC is better than Shadowhunters. They have a good story that is not confusing and exciting. I didn’t had to read the books to understand unlike Shadowhunters. I’ve been reading the books including the Codex because the show has been throwing many terms, rules, and creatures at me without explaination. It’s frustrating and I can see why fans of the books are angry. The showrunner and writers strayed too far from the Shadow World and its myth just so the show could stand out, but its becoming too…cheesy and appalling. Anyway, TSC characters are lovable and interesting it’s hard not to get attached to them. In Shadowhunters, the only one I like so far is Simon, the rest…still haven’t decided. TSC writing and dialogue are not cheesy and the pacing has been great. Which it is saying a lot compared to Shadowhunters. If Shadowhunters do get a second season, it will be their chance to revamp and slow down. The Shannara Chronicles went down a tenth or two this week. I really this ratings are enough for Freeform ’cause I really want a second season. The show is very different from the books, but I feel it’s improving. Also, I really want to see more of Magnus and Alec. Can anyone tell me if these ratings are good? I’d hate to see the show cancelled, especially because I think it getting better. With ABC Family’s rebranding, and possibly new people working for Freeform, there really isn’t much to go on to predict if it’ll be renewed or cancelled. Cable is difficult to predict. Stitchers another ABC Family TV show got renewed and it had less viewers like a lot less do so if Shadowhunters can keep the views up then there should be a second season.